Rose Room 220 – Where the night begins, and ends. Rose Room at 220 offers guests world-class cocktails, fine wines and spirits, and creative American bites in a gorgeously-appointed, exclusive hideaway in the heart of downtown Birmingham. Whether it’s starting off a night on the town, grabbing a light bite at the bar, or listening to live music in the lounge and dance music later in the evening, Rose Room offers guests a lively and indulgent escape for fine food, drink and company. Enjoy an innovative selection of classic cocktails and modern mixology, as well as top-rated wines and champagnes, which are offered alongside a menu of light plates. The chic new design showcases a gleaming cherry red grand piano, located on a central stage. Guests can enjoy an innovative selection of classic cocktails and modern mixology, as well as top-rated wines and champagnes, which are offered alongside a menu of light plates. Rose Room offers guests a lively and indulgent escape for fine food, drink and company. Rose Room brings an intelligent selection of food and drink, from sophisticated to simple, and always delicious. Rose Room offers an eclectic mix of hits from every era and genre, which will set the stage for great conversation and energy each evening. Rose Room hosts live entertainment twice each week, including jazz, piano, and acoustic guitar by local performing artists. Rose Room features Elegant 80-seat lounge and 14 bar seats. Guests can enjoy an innovative selection of classic cocktails and modern mixology, as well as top-rated wines and champagnes, which are offered alongside a menu of light plates. Evoking the classic cocktail bar atmosphere, Rose Room at 220 Merrill offers guests a sophisticated space to enjoy fine cocktails, wines, champagnes and spirits, thoughtfully collected from around the world by Rose Room’s group of connoisseurs.  Rose room accepts group reservations for parties of Four or more. To reserve a table for your group or party please complete the form below. The Rose Room private guest manager will contact you within 48 hours from your request. Please note that this a Guest List request and is not a guaranty of acceptance or entry unless specifically notified by us. Please note that this a Guest List request and is not a guaranty of acceptance or entry unless specifically notified by The Rose Room. A Rose Room Private Guest Manager will contact you within 48 hours from your request.